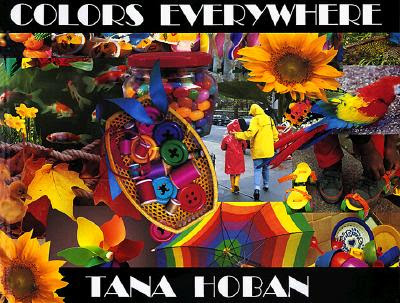 I first learned about Tana Hoban books a few years ago from an incredible Kindergarten teacher I worked with at the time. She had a huge collection of them in her classroom and I found myself as fascinated with them as her students were. I quickly begin collecting her books for my classroom and then for my own kids when The Bee and Bean came along. 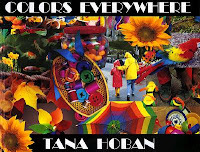 The Tana Hoban books have been as much a hit in my own house as they were in the Kindergarten classroom. 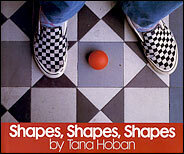 Tana Hoban, was a photographer and author who published many children's books in the 70's. Her books are almost all photographs of everyday stuff with titles like "Is it Red? Is it Yellow? Is it Blue?" that give you a clear idea what the book is about. There are not a lot of words in her books, just simple prompts giving the reader some ideas of what to look for. Since the photographs are so engaging words aren't really necessary. The thing I love most about her books is that you can look at them again and again and never grow tired of them. They are also great books for kids of all ages, younger kids may try to find simple shapes or colors while older kids might count objects or tell stories. Since the books were made in the 70's you can occasionally find a relic of the time in her photos but because she mostly takes photos of everyday stuff the picture are still pretty timeless. The best part of her books is how they encourage kids to look at everyday object and scenes in a different way. Once you read her books you start noticing shapes, colors, letters or shadows everywhere!